Legend has it that Kristofferson was as an aspiring songwriter working as a janitor at Columbia Records in Nashville before he published his first song. These demos are from that period: 1968-1972. Among the gems in this collection: the original version of "Me and Bobby McGee" before Roger Miller and Janis and The Grateful Dead and Olivia Newton-John and even Jennifer Love Hewitt got their hands on it. But don't expect a completely stripped-down, Kris-and-guitar-only treatment on the demo; a band joins Kris, and the chorus swells when backup singers jump in. Interesting: the newest, unusual version of "Bobby McGee" turns out to be the very first version. Other songs on this disc that Kris went on to record "professionally" and that others went on to cover include "Just the Other Side of Nowhere," "When I Loved Her," and "Epitaph." All with unexpected lyrical and musical twists you've never heard before or since on these songs. All with solid musicianship from Billy ("I Can Help") Swan, Stephen Bruton, and others who went on to achieve greatness. And all songs with pretty decent production values, especially for demos. 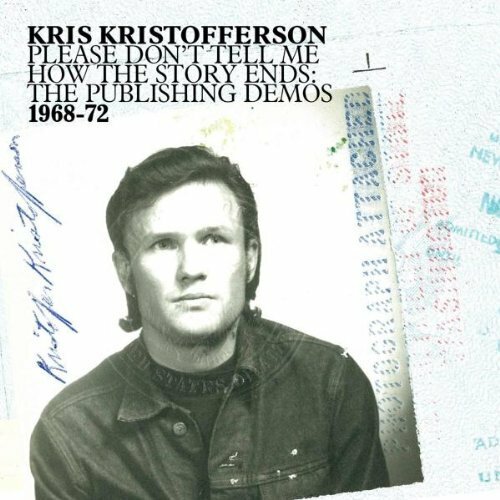 To top it off, the disc comes with a thoroughly enjoyable 60-page booklet delving into the back story of these songs and sharing photos of everything from Kristofferson and his cronies to his Air Force ID, passport, and other documents of a story that, thankfully, hasn't ended yet.